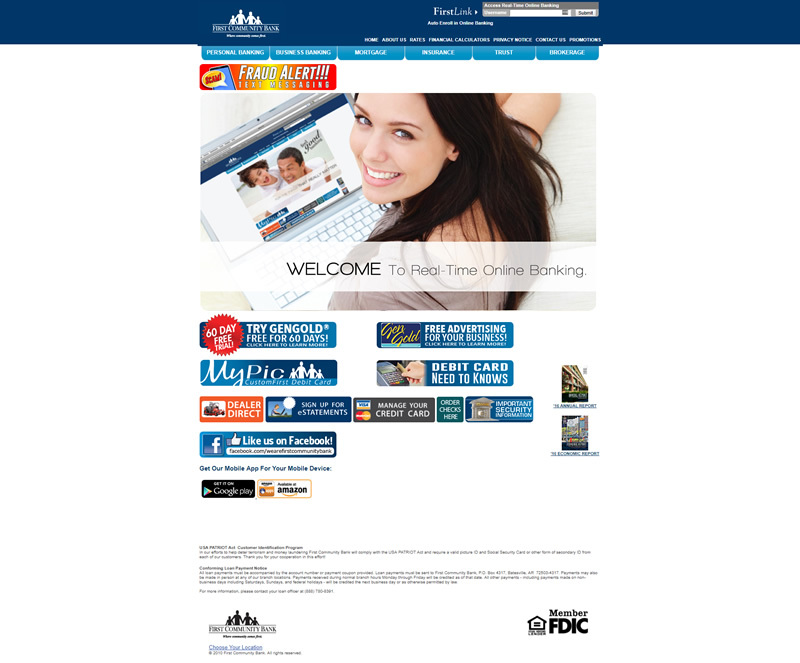 VisionAmp Marketing worked with the team at First Community Bank to create a new and updated mobile-friendly website. The new site features a cohesive color scheme, a user-friendly menu, and clear call-to-action buttons to help visitors to the site identify and locate the services and information they need quickly. Each service is broken down and tools such as calculators are clear and accessible. First Community Bank is a locally owned and operated bank. They have twenty locations across Arkansas and southern Missouri. They are headquartered in Batesville, Arkansas. In addition to offering personal banking and business banking options, First Community Bank also offers mortgages, insurance, brokerage, and trust services.